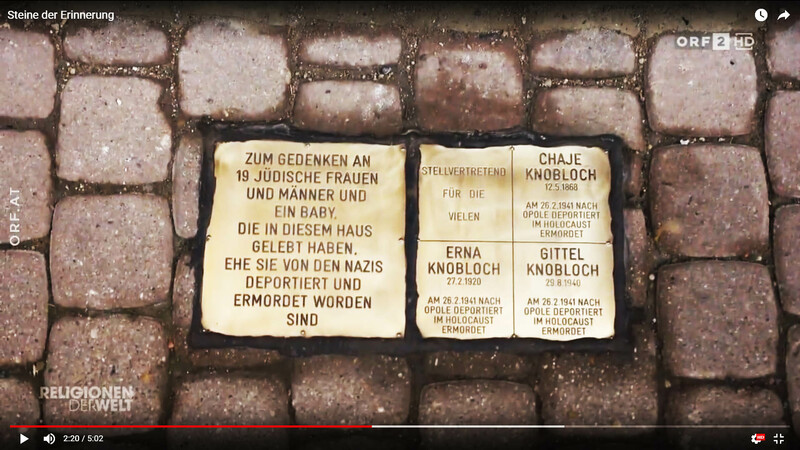 The stones and plaques of remembrance should refer to the life stories of former Jewish residents by the will of its initiators. Some members want to build with it a grave stone their dead relatives - then instead of the non-existing tomb stone of remembrance for the place where the members of the Kaddish, the traditional prayer for the dead speak. The show is still 6 days Library of ORF available. « Kosher Melange: newly served!